Welcome to the 2015-16 Semester 1 CrossFit P.E. Open! Over the course of the next two weeks, we will be conducting a series of fitness assessments and workouts that will determine who the fittest athletes are in each platoon. 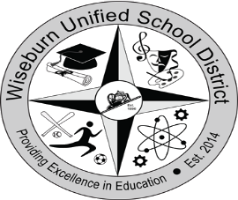 While the top three males and females will all be awarded and honored with certificates, only the top one male and female from each class will earn the invite to participate in this year’s Wiseburn Throwdown Event! Today, we will complete Events 1 and 2, which will test the fitness components of balance and then cardiovascular/respiratory endurance. Both times from both workouts today will of course count towards your CrossFit P.E. Open standings to determine the fittest CrossFit athlete in your platoon and in the first semester of CrossFit P.E. at large..so let’s see what we can accomplish! We’ll also have the opportunity to ring that PR Bell TWICE today, so let’s get fired up!!! Best of luck, and may the odds be ever in your favor! HOOAH!! !